The Head of KingAlarm says the company has embarked on an education and sensitisation campaign that includes using footage from video at the Braemar Avenue, New Kingston shooting scene to inform and educate its team members about how to professionally conduct themselves in such a circumstance. “In the event of any type of incident like this, in our debriefing sessions we would look not only at the officers on the scene, but all our personnel, to go through and see what could have been done better,” said John Azar at a press conference the company held in New Kingston on Thursday. He explained that as part of the debriefing sessions going forward, footage from the Braemar Avenue video will be included. “… truthfully, even in cases where an operation looks perfect to the naked eye, if you look at it in detail and really pinpoint and go through frame by frame, there are always things a training manager can look at and say, ‘Okay, you did well, but this is how it could have been handled differently,’” said Azar. 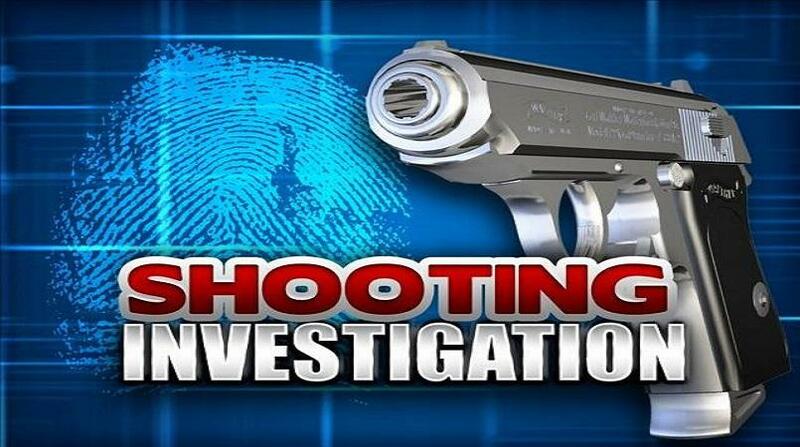 His comments came while explaining what he claimed to have been the turn of events that led to a licensed firearm holder discharging his weapon and shooting a security guard at the Braemar Avenue complex. The security guard who was shot was not connected to KingAlarm. 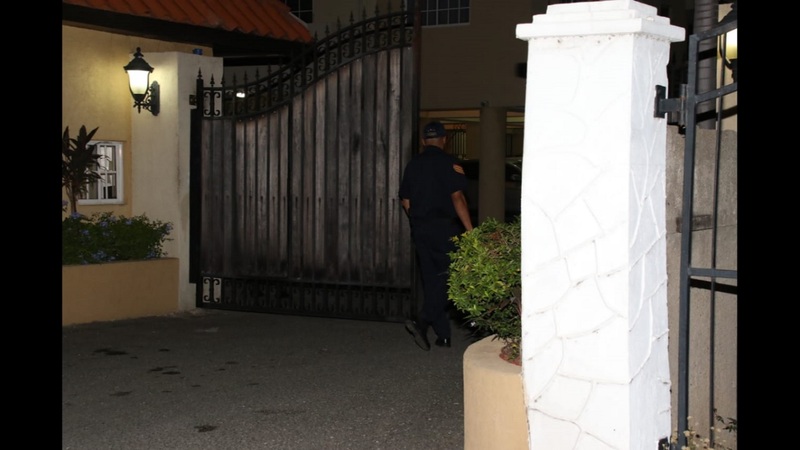 Azar said since the incident, KingAlarm has sacked the female security officer who was present at the scene of the altercation which led to the shooting of the guard at Braemar Estate. A supervisor who was among the six KingAlarm security guards at the scene has also been suspended. He said the female officer and a male officer who appeared to slap the firearm holder in the face, “were among persons charged by our internal disciplinary team". 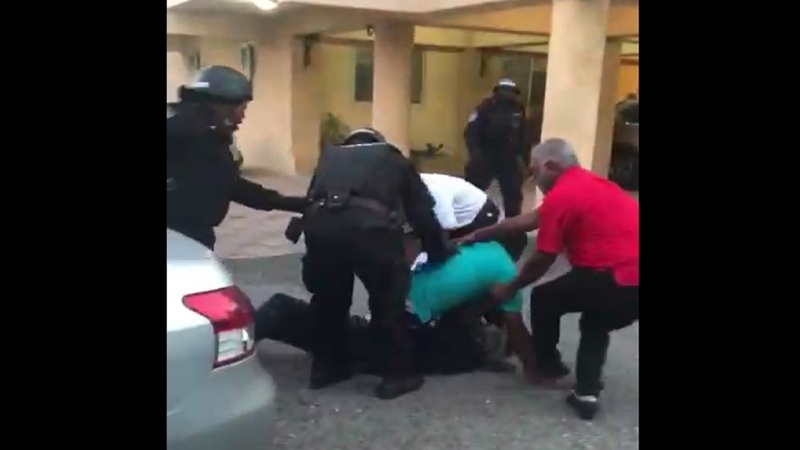 The video footage of the incident shows the firearm holder engaged in what appeared to be a heated discussion with KingAlarm security officers about leaving the property, before he was attacked from behind by a man in civilian clothing. He has since been identified as a security guard at the complex. A struggle ensued between the two men and a shot was subsequently fired, hitting the security guard in the neck. He was rushed to the University Hospital of the West Indies, where he was admitted in stable condition. But Azar pointed to what he said occurred prior to the tussle and the shooting incident in a detailed outline at the press conference. “I intend to drop no ‘bombshell’ here this morning, but to simply lay out the facts as relating to our personnel on the scene on the day in question, and our actions subsequent to those events.‎ Much of the facts that I will seek to set out are already known in bits and pieces, based on the videos circulating, and the press coverage thus far, but I will attempt to add a proper sequence of events to what transpired,” said Azar. “… Firstly, to set the context of what transpired, the complex… is equipped with a panic alarm system with distress buttons positioned in strategic areas, thereby allowing the watchman or other related parties to summon our assistance in any situation where it is felt that a security threat exists. “On Monday, July 2 at approximately 6:22 p.m., the ‎KingAlarm Command Centre received a panic signal from the guardhouse at the premises in question. In keeping with our standing orders, ‎the closest of our armed response teams was dispatched to investigate the signal, while our operators attempted to establish telephone contact with the location. The attempts to reach the location via telephone proved futile, and this information was passed to the team already en route to the premises. “The armed response team arrived on location at 6:27 p.m., or approximately five minutes after the initial signal‎ had been received. Azar went on to outline allegations that were reportedly made by the security guard from the complex, and pointed to reports from his team members of signs of physical injury to the guard at the complex. Additionally, Azar outlined an extensive series of activities that reportedly took place prior to the tussle and shooting of the security guard, which Azar said contradicted much of what has so far been reported about the incident. The KingAlarm boss said the outline that the company’s investigation produced, placed the overall incident in a much different context than the impression that was generally formed from the videos that have been in circulation.